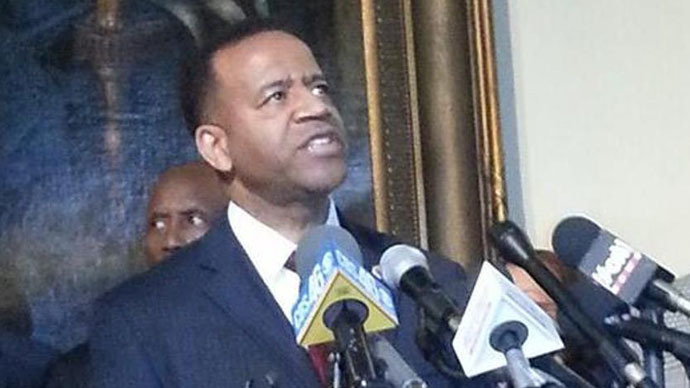 The case of Atlanta’s dismissed fire chief is turning into a national debate over anti-discrimination policies and religious liberty, as he filed a lawsuit on Thursday alleging wrongful termination under the Civil Rights Act. “Americans are guaranteed the freedom to live without fear of being fired because of their beliefs and thoughts,” said Senior Counsel David Cortman of the Alliance to Defend Freedom (ADF) representing Chief Kelvin Cochran. “The city of Atlanta is not above the Constitution and federal law. In America, a religious or ideological test cannot be used to fire a public servant,” added Cortman. A devoted evangelical Christian, Cochran was suspended in November 2014, following anonymous complaints over a devotional book he self-published a year earlier. After a month-long investigation, the city concluded Cochran had not actually discriminated against anyone – but sacked him anyway. A petition with 50,000 signatures for Cochran’s reinstatement was handed to the mayor a week after the chief’s dismissal, as hundreds gathered in a show of support at the Georgia State Capitol. “If a government will fire someone for their religious beliefs, no beliefs are safe from government regardless of how sacred those beliefs may be,” said Tony Perkins, president of the conservative group Family Research Council, who was at the rally. Cochran’s cause was also taken up by the Faith and Freedom Coalition, the Georgia Baptist Convention, and the Alliance Defending Freedom. ADF is representing Cochran in his anti-discrimination suit. Cochran is asking for compensatory damages, reinstatement to his old job, and the city’s admission it violated his constitutional rights.